Jan. 17, 2018, 10:21 a.m.
By Laura Hazard Owen @laurahazardowen Jan. 17, 2018, 10:21 a.m.
Linda Solomon Wood is the American who threatened to move to Canada — and then actually did it. Once there, she did something else perhaps even more improbable: She launched a national, investigative digital news site that, just three years in, is winning prestigious awards (including the first-ever National Newspaper Award to a digital-only site), and is on the path to becoming entirely funded by readers. “I am that American,” Solomon Wood said, recalling how she moved her family to Vancouver, British Columbia, shortly after 9/11. In fact, little about her story is typical. National Observer, which Solomon Wood founded in 2015, is a daily news site covering issues like government, the environment, health, climate change, and human rights, all with a progressive bent. It has 10 full-time employees split between work spaces in Ottawa and Vancouver, as well as five part-time contractors and a host of freelance journalists. With that small staff, the site has done big things: Last year, Bruce Livesey, the outlet’s lead investigative reporter, won a National Newspaper Award for his series on New Brunswick’s powerful Irving family — the first time a digital-only outlet had won the award. “Thank you so much to the investors, Kickstarter supporters, subscribers and monthly donors who have empowered [Livesey’s] reporting since our launch two years ago,” Solomon Wood said in a statement at the time. “It all comes down to you. This is your award, too.” National Observer was also the first digital-only outlet ever to receive a Michener citation of merit in public service journalism, earning the team a trip to Rideau Hall, Canada’s equivalent of Buckingham Palace. Observer Media Group at Canada’s Rideau Hall. It was the first digital-only publication to receive a citation from the Michener Foundation. 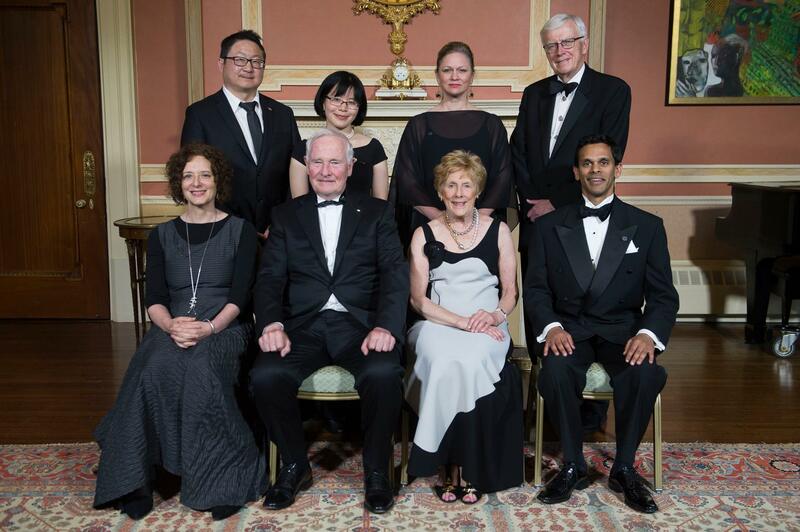 Front row, left to right: Linda Solomon Wood, then-Canadian governor general David Johnston, Sharon Johnston, Mike De Souza. Back row: Observer Media Group shareholder Evan Hu, reporter Jenny Uechi, national columnist Sandy Garossino. The site generally publishes three to five original stories per weekday, as many as 10 on a busy day. In one ongoing series, “The Price of Oil,” National Observer is collaborating with the Toronto Star, Global News, and other partners to look at the health impacts of oil and gas development on local communities. But most of National Observer’s work originates with its staff. “We’re small, but we punch above our weight and are positioning ourselves to grow significantly,” said Mike De Souza, the site’s managing editor and the reporter behind National Observer’s award-winning investigation into TransCanada’s Energy East pipeline project. (His investigation into the secret meetings held around the project ultimately contributed to TransCanada’s termination of the pipeline project last fall.) “We’re taking over space that is being abandoned, I think, by a lot of older media outlets” as Canada’s newspaper market drastically contracts. Solomon Wood, 61, is a Canadian with a Southern accent. 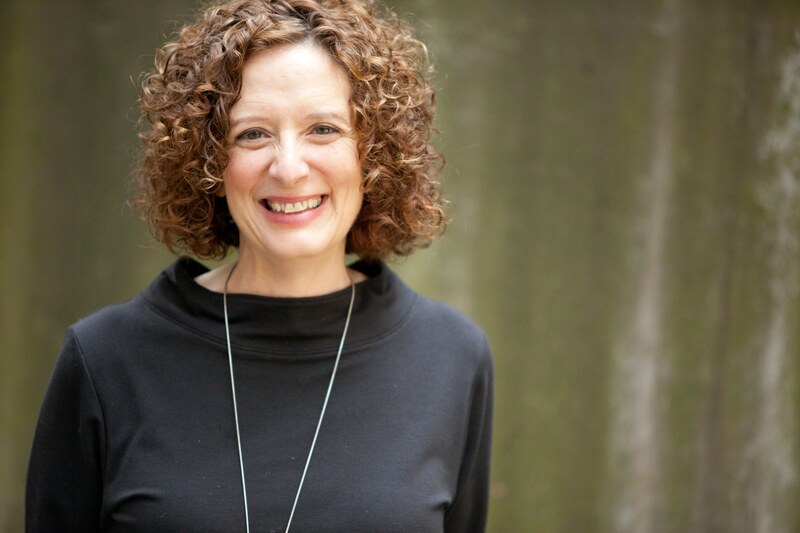 She was born in Chattanooga, Tennessee, and her first job was as an intern at The Tennesseean in Nashville, in 1979. John Siegenthaler, the publisher at the time, was a civil rights activist who let reporters work on investigative stories for months or years. As an intern, Solomon Wood got to investigate and report on the exploitative industrial life insurance that was sold to poor people; The Tennessean’s coverage of that issue led to Senate hearings, a 60 Minutes episode, and the ban of that form of insurance. Solomon Wood went on to spend years as a freelancer, doing “lots of one thing and another over many years.” She profiled Wangari Maathai, the woman who launched the Green Belt movement in Kenya and went on to become the first African woman to win a Nobel Peace prize; Noerine Kaleeba, the woman who organized Uganda’s reponse to the HIV/AIDS crisis; and Medha Patkar, the Indian social worker who organized the protest against a World Bank dam that would have displaced nearly a million peasant farmers. “I never expected to hear from him again. About two months later, a check came in the mail.” Vancouver Observer’s reporting on the “Lost Canadians” began in 2010 and continued for the next four years, leading to awards and changes in the Canadian law. Money continued to trickle in. Solomon Wood began pitching people, and one invested $25,000. At this point, Vancouver Observer was literally running from Solomon Wood’s dining room table. “Oh, you know, this is all going on in my apartment, my kids were small and running around, there were always interns here,” she said. “And then that spring [of 2012], we were nominated for a really big award” — a Canadian Journalism Foundation award. “I remember getting the letter and just sitting down and crying,” Solomon Wood said. “There had been so much unbelievably hard work that had been going on for a really long time, and it felt like, oh my God, somebody noticed.” Vancouver Observer ended up winning the award. Vancouver Observer was doing well. If investigative reporting was its heart, the bulk of its traffic came from the other kinds of stories it did — back when some of the Twilight vampire movies were being filmed in British Columbia, “we would do really fun, like, paparazzi stories, and then we’d just watch our traffic spiral up on every Twilight story.” For the first time, the site became profitable. For the last six years I’ve spent thousands of hours trying to solve a very difficult problem: weekends creating spread sheets, running numbers, counting how many of you read National Observer, and trying to guess how many of you would see it as a critical public service. I’ve run these numbers many times and by my calculations, if only one per cent of you champion our reporting, National Observer can spread its wings. You can be part of the remaking of journalism in Canada…. We’ve spent tens of thousands of dollars this year alone supporting Bruce and Mike’s investigative series on the Irvings and the National Energy Board. We’ve torn out our hair trying to crunch the numbers that keep our operation sustainable, but during those months, we brought in maybe $700 from banner ads. No, I didn’t drop a zero there — we literally brought in just $700 (Facebook algorithms and Google ads have pretty much eliminated ad revenue for news companies. Sigh). Solomon Wood wouldn’t share how many paying subscribers National Observer has. But including the group subscriptions, she said, around 250,000 people have access to the site. National Observer now gets 30 percent of its funding from subscriptions (up from just five percent before the paywall), and the remaining 70 percent comes from crowdfunding, events, spontaneous donations, and philanthropic funding. The goal is for National Observer to be 60 percent reader-funded by the end of 2018, and close to 100 percent by the end of 2019. During one of my conversations with Solomon Wood, alerts kept popping up on my phone’s screen about Trump’s plan to privatize large chunks of national parks. This inspired me to ask her whether environmental investigative reporting ever gets her down. Does she actually feel as if National Observer is making a difference? At the same time, “we have a government that is committed to making progress on climate. It’s amazingly different from Trump taking the EPA apart — amazingly different,” she said, almost joyously. Photo of Linda Solomon Wood by Kris Krug used with permission. POSTED Jan. 17, 2018, 10:21 a.m.
Owen, Laura Hazard. "“We stepped in and started doing it”: How one woman built an award-winning news outlet from her dining room table." Nieman Journalism Lab. Nieman Foundation for Journalism at Harvard, 17 Jan. 2018. Web. 25 Apr. 2019. Owen, Laura Hazard. "“We stepped in and started doing it”: How one woman built an award-winning news outlet from her dining room table." Nieman Journalism Lab. Last modified January 17, 2018. Accessed April 25, 2019. https://www.niemanlab.org/2018/01/we-stepped-in-and-started-doing-it-how-one-woman-built-an-award-winning-news-outlet-from-her-dining-room-table/.